This Lent season you are invited to evolve your consciousness in caring for our common home. Nellie McLaughlin provides a reflection with the key message to ‘Change the Story: From Separation to Interconnectedness’. 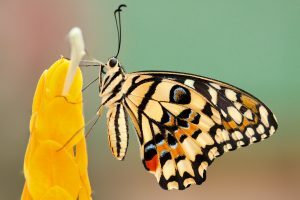 Thumbnail image: Butterfly on yellow flower by Boris Smokrovic obtained on Unsplash. Image used with permission.